You asked us, why does rain have such a distinctive smell? Although a rainstorm drums up all kinds of different odors, three are common the world round. You know that sweet fresh smell that rolls in on the wind right before a storm? That's ozone you're sniffing, a form of oxygen created by lightning that floats down from much higher altitudes. Way up in the atmosphere, ozone protects our planet from the sun's harmful rays, but down at ground level, harmful concentrations of the gas create things like smog. But let's get back to the question. After rain starts to fall, another smell wafts up. Petrichor hits our noses when plant oils get displaced by rain and are carried into the air. And last but not least, that damp, musky smell after a storm passes is the smell of geosmin, an organic compound created by bacteria in soil. Although there have been many attempts, no one's been able to bottle the perfectly heady smell of rain just yet, so the next time a good summer storm rolls in, take the time to drink in those sweet, elusive scents. Why hasn't anyone been able to bottle the smell of rain yet? I have always wanted to know why I smell that! This is pretty notable, because people can always recognize the smells. Even in literary works, authors will include a description of the sweet smell of rain and the reader can recognize that immediately. This definitely helps someone to understand something they've always recognized. 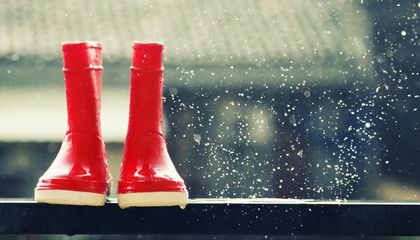 No one has been able to "bottle" the smell of rain yet because there are 3 different smells and there are many different ways to get these smells. I think it is difficult to get the smell because it occurs naturally so you would have to create it naturally. This is an interesting article. I hate when people say that rain does not have a smell. And this shows that it sort of has a smell. I think that it's interesting that the smells of rain all have a specific source and that we've been able to identify what that source is. NO one has been able to bottle the smell of rain yet because one of the smells has not been figured out yet so they need to figure that one out before they can bottle it to say. I have always wondered why the smell of rain smells like that. I love the smell during a thunder storm there is nothing like it!! It's interesting how no body has been able to obtain the scent of rain, after all it is just bacteria and should be able to be recreated in a lab setting. I think its interesting that that smell after the storm is actually a form of oxygen. I thought it was very interesting to learn what that smell really was.